Baby Manvitha has been diagnosed with Acute Lymphoblastic Leukaemia (Blood Cancer) and needs to undergo Bone Marrow Transplant (BMT). She is currently admitted in ICU (Intensive Care Unit). Manvitha is suffering from blood cancer and the only option which will save her life is undergoing a BMT (Bone Marrow Transplant) soon. 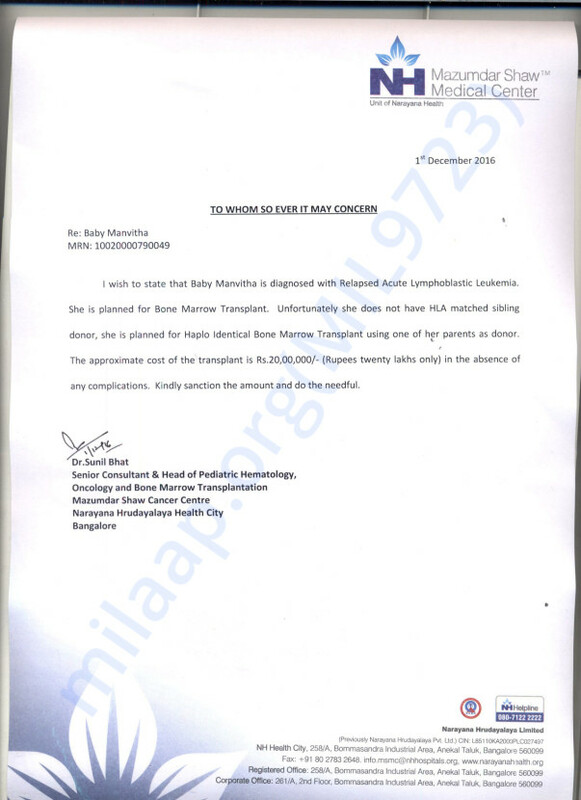 Unfortunately she does not have a HLA-matched sibling and would have to undergo for Haplo Identical (BMT) transplant using one of her parents as donors. The cost for the transplant has been estimated as 20 lakh rupees. Manvitha's father Raghavendra is an auto driver. He manages to make 9,000 rupees per month. Of which 3000 goes into the auto rent which costs him 100 Rs Per day and another 3000 for house rent. 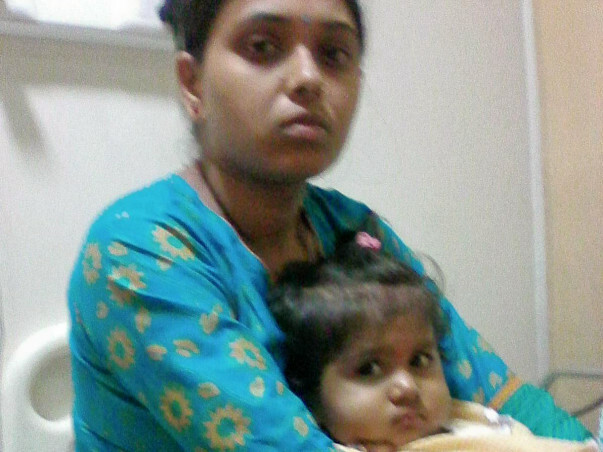 The family survives on 3000 rupees with which they also manage the medical expenses for Manvitha. The family has already spent 6 lakhs on the treatment by arranging funds from friends and relatives. The current need is 20 Lakh rupees and the need is urgent. Request you all to please support in raising funds for her treatment. 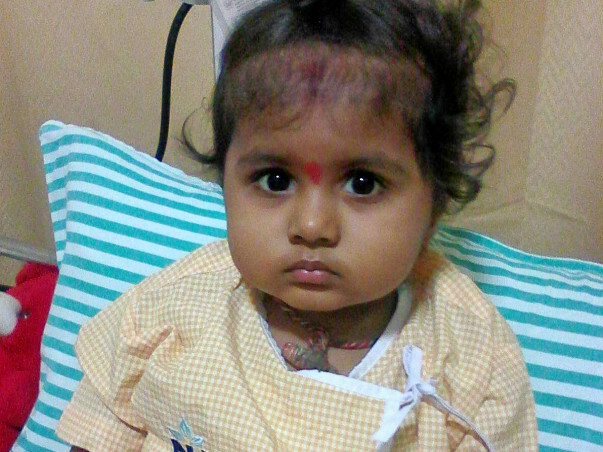 Thank you for coming forward to help 2-year-old Manvitha. However, we are deeply saddened to inform you that Manvitha has passed away. You poured your heart out to save this little fighter. Unfortunately, her condition deteriorated and passed away before the surgery could take place. 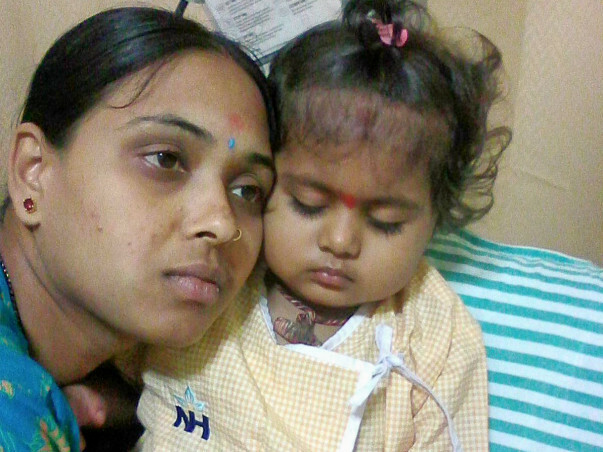 "We feel Manvitha is in a better place now. How much more could my little girl tolerate? We kept pushing her with one injection, one chemo! I couldn't see a future where my little girl will be pain-free. I know that today she is away from needles and drips, free of pain in God's kind hands. 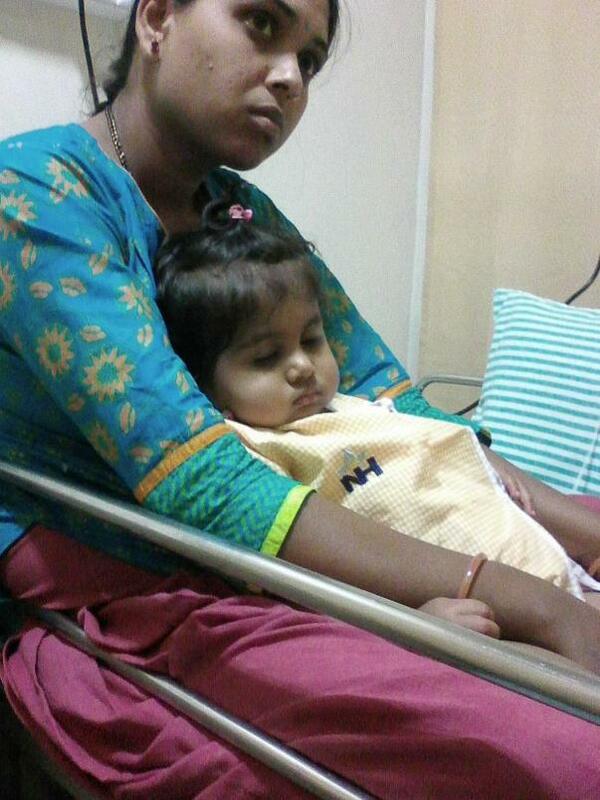 I thank all those who supported us for Manvitha's treatment. Your contributions took care of most of our medical expenses. If the raised funds can help other children, please use it to save them." It has been a difficult time for the family for the past few months and we hope they find strength in this time of grief. May the little one's soul rest in peace. 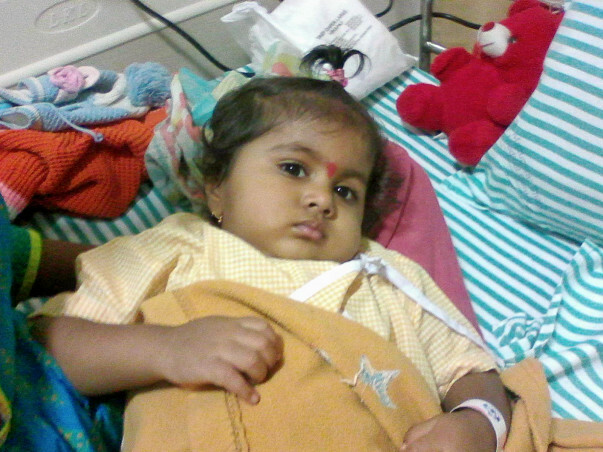 As per Manvitha's mother's request, the excess funds will be transferred to Sairatan and Chandan. These funds will definitely help these young cancer fighters get the treatment they deserve. We will keep you posted about their health and recovery in the coming days. For any queries, please feel free to reply to this email. Thank you once again for your support. We thank you all for the overwhelming support for baby Manvitha and helping the campaign get funed. We are stopping the campaign now, we are getting in touch with the hospital and shall be posting an update in the next few days. Once again thank you all for your support.